At a time when ever more information is available about the quality of health care, the challenge for policy makers is to better understand the policies and approaches that sit behind the numbers. This book examines whether care in Israel is safe, effective and responsive to patients’ needs. 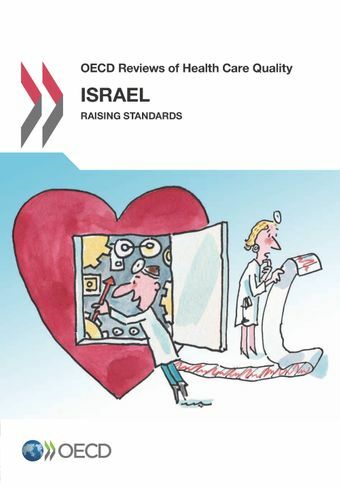 It examines what works and what does not work, both to benchmark the efforts of countries and to provide advice on reforms to improve quality of health care. Israel has a world class primary care system based on teams of professionals working in community clinics that are held to account by extensive data collection and strong after hours services. The government ought to address the relatively poor information on quality of care in hospitals by encouraging better hospital quality reporting and improvement programmes. Improving the flow of clinical information will help coordination between primary care and hospitals. Dedicated health programmes for the disadvantaged have helped address inequalities though renewed efforts are needed along with tackling the social determinants of health and avoiding further increases in co-payments.